» Photochemistry data set for NSF Photochemistry project on the North Slope of Alaska. 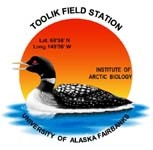 The detailed protocol for absorbance and fluorescence analysis of DOM is found at http://www-personal.umich.edu/~gwk (click on the protocol link at the bottom of the page), or at the NSF Arctic LTER website under the Landscape Interactions mainpage at http://ecosystems.mbl.edu/ARC/landwater/landwaterdefault.html. Definition: A unique number assigned to each sample collected at a specific site at a specific date and time. The year that the sample was collected is followed by a dash and then a sequential number. For example, if 600 samples were collected in 2002, then the first sample collected is 2002-0001 and the last sample is 2002-0600. Definition: Site Name. If a soil site, the site is described in the name by general location then specific feature (e.g., watertrack) then specific sampling point (1,2,3,...). Lake and stream sites use common names (e.g., Toolik) or LTER number codes. Exceptions in naming procedure are provided in the Code Information and in the AK-LTER_Site_Info.xls file. Definition: Depth from surface of lake, stream, or soil, or a description of location such as "meta" for metalimnion. Definition: Distance along a stream. In the Kuparuk River, negative values are upstream of the designated starting point (1983 LTER phosphorus dripper, 68.639104°N 149.394326°W) and positive values are downstream. For the Sagavanirktok River, all values are positive starting at the mouth of the river at the Arctic Ocean (70°19.219' N 148°02.259' W) moving upstream. Definition: Naperian absorption coefficient at 305 nm. Definition: Attenuation coefficient at 305 nm. Definition: Fluorescence index. Ratio of fluorescence emission intensities at 470 vs 520 nm at excitation wavelength 370 nm.